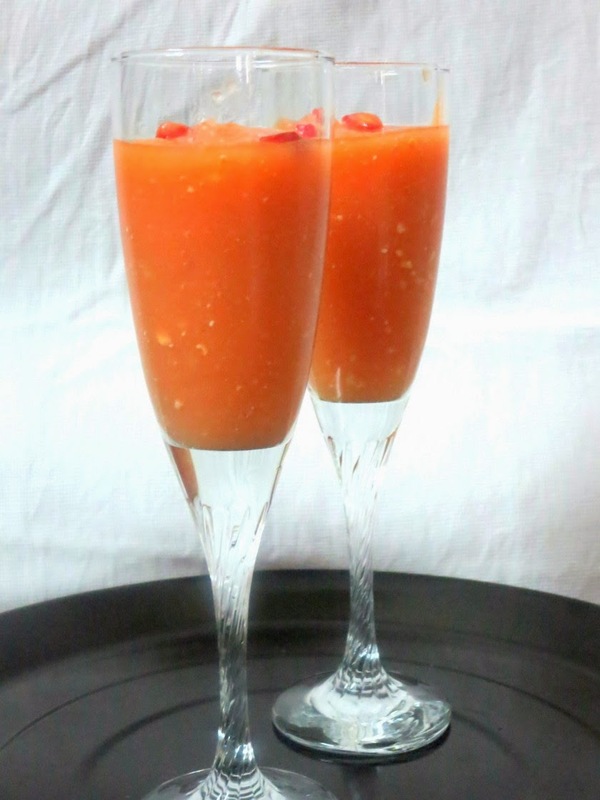 For the second day of Mocktails, it's a combination between papaya and pomegranate. We always stock pomegranate at home as all of us love those ruby red seeds. It's mostly eaten as well and never made much out of it. Fresh fruits are always consumed as direct and never in any other form. Even the over ripe banana, might make me want to make some bread but never does get to see the light. So when it was just three of us and loads of fruits, we decided making juices was the best option. Papaya and pomegranate found a match with each other. The drink you see below was quite concentrated. We ended up adding more water to make it thin. The final taste was quite a surprise for us, as we didn't really expect this to turn out well. Yea, you will find a hint, rather strong presence of papaya in the end. However as you drink through it, it tastes great! Clicking drinks have always been a problem for me. However with an empty house and more space, I finally figured out a better way to click these. Well I did spend much time on clicking these and as you can see I totally lacked the creative sense to make this more appealing. As I think or want to say, be straight and not distracting to the object is my motto. 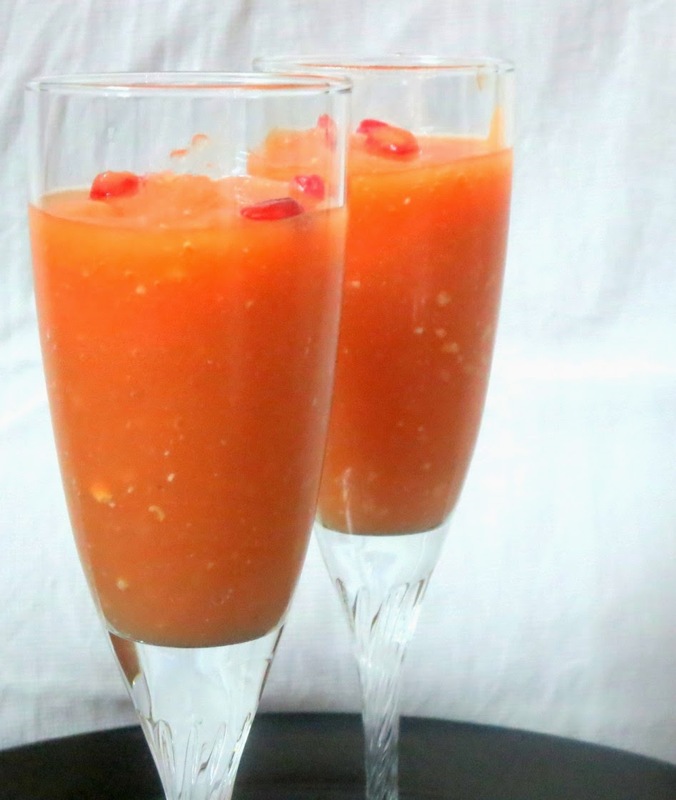 Blend papaya and pomegranate together till you get a nice thin juice. I didn't sieve away the fibre from both the fruits. If you make it thin you won't really find the residue. You could make a smoothie with this as well and make a thick juice for your breakfast. With the way papaya is, I don't think one can twist much in this to alter the strong taste of the fruit.